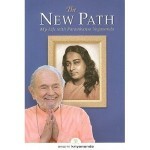 Online library of books by Paramhansa Yogananda and Swami Kriyananda. This spiritual classic has been read by millions. This is the original edition, just as Yogananda wrote it, without any of the editing changes made in later editions. It includes all of the original photos — unavailable in later versions of the book. A marvelous sequel to Paramhansa Yogananda’s own Autobiography of a Yogi, The New Path can help you to gain a profound understanding of this great world teacher. The book includes hundreds of stories of Yogananda, as well as Swami Kriyananda’s invaluable insights into the soul’s journey to its home in God. A must-read for every sincere spiritual seeker.